Dreaming of a warm get away this winter? Groupbrand, Loveurope’s digital arm, have Puerto Rico in mind. 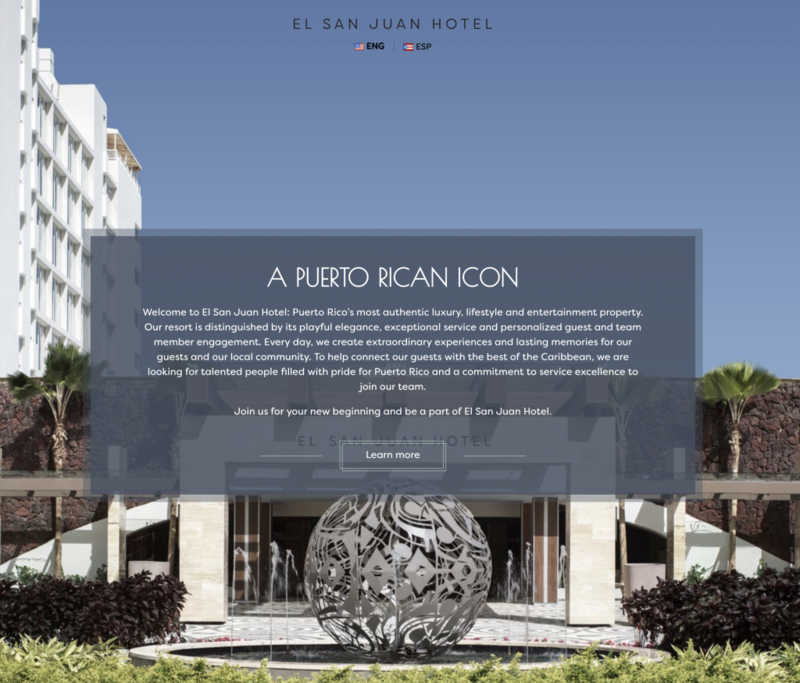 They created the multi-language landing page for El San Juan Hotel as part of its relaunch. The site design reflects the elegance of the modern luxury resort and is an effective tool in recruiting employees who will share the passion and pride of this refurbished Puerto Rican Icon of hospitality.